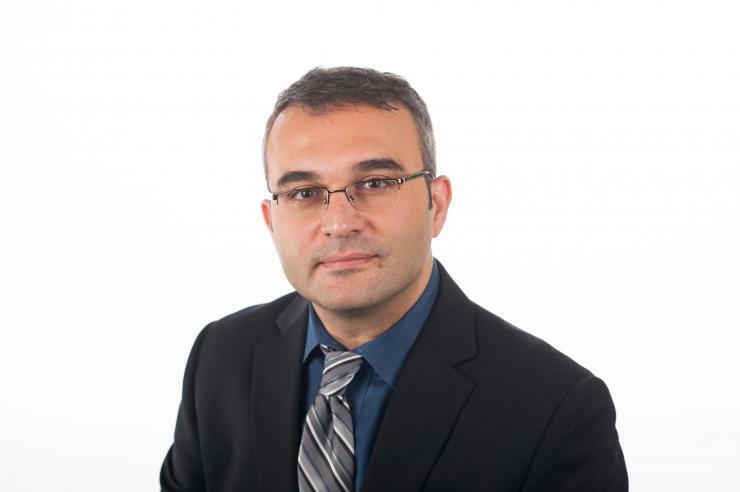 Manos Antonakakis, an assistant professor at the Georgia Tech School of Electrical and Computer Engineering (ECE), will serve as a panelist at the CableLabs Inform(ED) IoT Security Conference, part of a two-day conference event that will be held April 12-13, 2017 in New York City, New York. Antonakakis will be a panelist in the technology and policy interaction portion of the April 12 Inform(ED) IoT Security Conference, which will provide an in-depth view of IoT’s evolution and the increasing security, privacy, and policy challenges arising from the extensive deployment of connected devices. Two cable company executives and a professor emeritus from the Wharton School at the University of Pennsylvania will join Antonakakis on the panel. At the Georgia Tech School of ECE, Antonakakis leads the Astrolavos Lab, where he and his team work on problems related to computer and network security, anomaly detection, data mining, and attack attribution. In November 2016, Antonakakis was awarded a $17.3 million U.S. Department of Defense contract to help establish new science around the ability to quickly, objectively, and positively identify the virtual actors responsible for cyberattacks, a technique known as attribution. These two back-to-back CableLabs conferences bring together industry leaders, technologists, business analysts, and policy professionals to address the benefits and challenges of a connected world. The first day’s conference focuses on the important area of IoT network and device security. The following day’s conference will dive deeply into the rapid evolution of networked healthcare and its impact on the medical and healthcare industries, as well as on our day-to-day lives. For more information about the CableLabs Inform(ED) IoT Security and Inform(ED) Connected Healthcare Conferences, visit http://www.cablelabs.com/informed/.